Tales I Tell My Mother is a unique book; through it emerge five strong and distinct fictional voices, female and feminist, and testing both those definitions every step of the way. It is a book which everyone interested in fiction or politics must read. 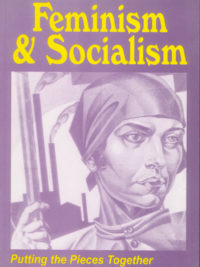 The 15 stories were written as a collaborative project over 18 months, involving critical and political discussion about the issues which concerned the authors as women, writers, feminists and socialists. Some of these discussions are represented by five short essays which raise important questions for our time about the relationships between fiction, language, aesthetics and politics. Together they explore the experiences of contemporary women in a variety of short story forms, ranging from the openly polemical to the more traditionally subjective, from social realism to the more experimental. The book is divided into three sections: in the first, stories about work, abortion, sexuality, and discrimination filter the writers’ everyday experience as feminists. In the second, stories about sexuality, politics and group dynamics are offered as a direct engagement with the varied politics of the women’s liberation movement; and in the third section the use of myth, relationships with men, motherhood and art offer a new perspective on the everyday lives of women in a society where the roles of both sexes are under close scrutiny.